Does Indonesia Need to Rethink its Foreign Policy? Indonesia’s foreign policy path remains uncertain as it attempts to navigate changing regional dynamics. In a recent ASPI Strategist blog post, Andi Supriyanto concluded that it would be a real concern if “Jakarta felt it could get more out of the great powers than out of ASEAN” as any conflict among and between the great powers and ASEAN would compel a rethink of Indonesia’s foreign policy. He concluded that the challenge for Jakarta was to reconcile changing expectations of ASEAN states in light of the great power rivalry in Asia. This conclusion focuses on the regional security functions of ASEAN rather than the broader economic, environmental and cultural agenda it is also trying to promote. Jakarta’s challenge in this field is likely to be obstructed by several realities. ASEAN’s requirement for unanimity in decision-making gives China a de facto veto because several ASEAN members are dependent on China. China has also undermined Indonesia’s status within ASEAN on several occasions, in particular by contesting its exclusive economic zone boundaries, thus undermining its ambition to be an honest broker in the South China Sea dispute. So the question is: does Jakarta need to rethink its foreign policy? There will always be a role for ASEAN but it was never designed to be a defence pact and its broader security functions were more internally directed than externally focused. So what options exist for strengthening Indonesian defence and security interests? The possibilities are: defence alliances, modifying ASEAN’s decision-making rules, expanding ASEAN or the status quo. Indonesia’s current foreign policy forbids alliances and basing of foreign troops on its soil but that does not rule out contingent alliances. It is already engaged in a number of defence partnerships that give it the potential to form temporary contingent alliances. A more permanent arrangement begs the question: with whom and against whom? An alliance with China seems ridiculous given that it is the only country that could possibly threaten Indonesian sovereignty in any serious way. 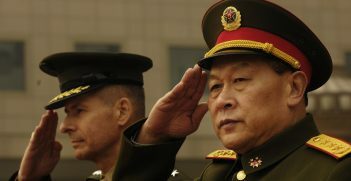 However, if the US is in relative decline and decided to cede a sphere of influence to China, it might be a way of trying to manage the threat. As Indonesians admit, Indonesia has been covered by a de facto US alliance since the end of World War II, particularly from the late 1960s. Despite its relative decline, the US is still capable of foiling any effort by a foreign power to seize control of the oceanic straits so the de facto umbrella remains. However, if the US is in relative decline and chose to withdraw from the region in the longer term, why would Indonesia antagonise China in the meantime by formalising the de facto alliance? A permanent alliance is unlikely. An alliance with one or more of the other regional powers (India and Japan) would also antagonise China for no obvious reward. If there was a clash between China and any of the US, Japan or India over the South China Sea or other border flash points what benefit would Indonesia derive from aligning itself with any of the protagonists? Even if it stayed neutral, it would still have to decide what to do about conflict that spilt over into its sovereign territory. For example, could it close the straits and its air space to all military passage for the period of conflict and how would it preserve its neutrality in the process? In relation to its immediate defence interests, Benny Murdani observed in the early 1990s that Indonesia, Malaysia and Singapore formed one strategic unit implying that a compact between them could strengthen deterrence and the defence of the two major straits passing through Indonesia’s strategic heartland. That is a feasible option but it requires all three to compromise on the issues that still divide them, if they are to create a high level combined military capability. Two Australians have suggested other options that would potentially add to Indonesia’s foreign policy weight while advancing Australia’s interests. 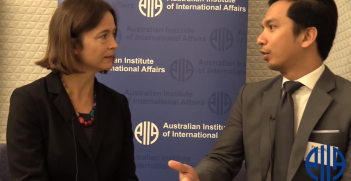 Graeme Dobell has suggested that Australia strive to become a member of ASEAN. Given China’s effective veto over ASEAN decision-making and its divide and rule approach to foreign policy, this option is unlikely to eventuate. Even if China concurred Indonesia would still have concerns because of Australia’s formal US alliance, residual suspicions of Australian intentions and the change in dynamics it could prompt within ASEAN. The same dynamic also rules out changing the decision-making rules within ASEAN. John Blaxland suggested a new separate grouping of Indonesia, Malaysia, Singapore, Australia and New Zealand that would take the usual course of talking about less sensitive but mutually beneficial matters before advancing to more compelling issues in the longer term. This is an extension of Benny Murdani’s concept of embracing the neighbours that has yet to make much progress. There is much to recommend the concept and it does not require the endorsement of third parties. However, it would also need to embrace the Philippines and PNG if it was to effectively manage the lower order security issues envisaged (illegal fishing, migration, terrorism and smuggling) from Indonesia’s perspective. While Indonesia has to adapt to changing regional and global dynamics and might find advantage in new peripheral cooperative arrangements it is unlikely to compromise on its historical ‘Free and Active’ foreign policy stance. 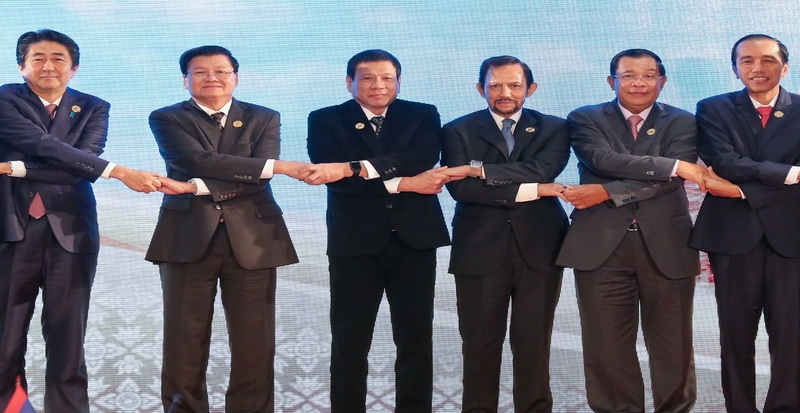 It would appear to have little to gain from aligning itself with any party in a regional conflict and seems to have little option but to work with ASEAN and its additions to strengthen its cohesion and freedom of action, as Andi Suprianto inferred, and perhaps form additional bilateral or collective regional partnerships. In summary, Indonesia’s geography, self-perceived domestic fragility and relative strength does not give it the luxury of turning inwards or venturing too far afield. Bob Lowry is president of the ACT Branch of the Australian Institute of Institutional Affairs, author of ‘The Armed Forces of Indonesia’ (Allen&Unwin, 1996) and a student of the Indonesian military and politics. It is a year this week until the next presidential elections will be held in Indonesia and speculation has begun about who will put themselves forward to face the incumbent, Joko Widodo. 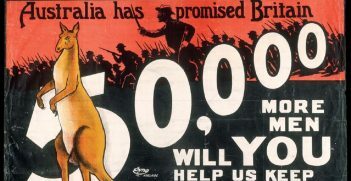 For a long time, Australia benefitted from the United States' uncontested dominance in Asia. However, the dynamics of the region have changed much faster than anyone expected. Australia's historic relative isolation has failed to protect it from the ambitions of foreign influencers. After the most recent scandal involving alleged clandestine interference, what lessons can Australia learn from its past?